April concludes and the new month begins with my successful participation in the National Poetry Month challenge of writing a poem a day for 30 days. 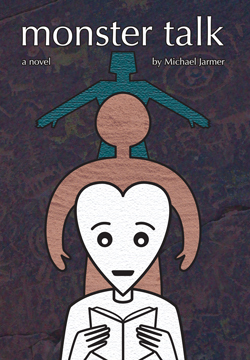 I’m happy to say that I missed not a single day and that all 30 poems are posted here at michaeljarmer.com for your reading pleasure. I thought I would take a few moments here at the end of that process to take stock, to reflect on some key observations, and to speak generally about the strategy of these kinds of Forced Creativity Experiences, the good, bad, and the ugly. Mostly, it’s good. If there is a creative thing one wishes to be doing and one is in constant turmoil about NOT doing that thing enough or at all, a Forced Creativity Experience is a good strategy. I think National Novel Writing Month in November and National Poetry Writing Month in April are simply about kickstarting that impulse. And, it seems to me, only four conditions are required. First, a desire to do the thing. Second, an invitation from the universe to do that thing. Third, a specific but intensive goal around the thing–to be accomplished over a short period of time. And four, a supportive community in which to do the thing. NaPoWriMo is not the only Forced Creativity Experience I have encountered or participated in. On the music front, my wife (my songwriting partner) and I have participated since 2004 in a kind of power-songwriting circle called Veronica Lodge, wherein we commit a single day of each month of the year to writing, recording, and mixing SIX new tunes. Six new tunes in a single day, once a month, since 2004 has yielded us over 500 new songs. Before our participation in this Forced Creativity Experience, we would have been lucky to write ten new songs in a single year. And becoming parents in 2005 was likely to inhibit our output even further. This thing worked wonders for us. Desire + Invitation + Specific goal over short period + Supportive Community. Anyone who ever takes a creative writing class because they want to is having such an experience–and as a young English major I took as many of those babies as my schedule and my degree would allow. And, too, anyone who goes into a writing program of any kind is also willingly participating in a Forced Creativity Experience–and that impulse got me motivated to enroll and finish an MFA program in fiction writing. But these things cost a lot of money, and then once the classes are over and a degree is won –then what? Especially when the rigors of a career and family life take hold–how does one find the motivation and time to write? And for those of us who are similarly compelled, what are the consequences of not writing? Writer’s Groups can work for a time. I’ve been involved in a few–all of which forced out some productivity, but all of which fizzled eventually–some after a pretty good run, others not so much. I think Writer’s Groups often fizzle because they lack perhaps that third criteria that I have arbitrarily invented–they lack specific and intensive goals and they tend to go on and on and on. Only recently have I become aware of such a thing as the November National Novel Writing Month or the poetry equivalent in April. These are both wonderful developments–but as much as I would like to be able to write a complete draft of a novel in a single month–I could not see how it would be possible to write 2.000 words every day for thirty days. I’ve got some fathering and husbanding to do, and my part of the housework to finish, and a full time job, and Jon Stewart and Stephen Colbert. It’s just not in the cards, especially in November, for crying out loud. But poetry! (and again, I don’t want to offend my friends who are serious poets, because I have a hunch that they work a hell of a lot longer and harder on their craft than I worked on my 30 little poems). Poetry can be written daily–poems can be finished, or at least drafted, in a single sitting. Six songs, or 2,000 words, or a single poem. Whatever floats your boat; all of these activities designed to enhance creative output have these things in common: they depend on a desire for productivity, they come with a kind of public invitation, they have a specific, intensive, time sensitive goal attached to them, and they all, perhaps most impressively, surround the participant in a supportive community of others who are engaged in the same process. I’d like to close with some comments about this supportive community. Unlike in a class, or in a program or workshop, where conflicting pedagogies, artistic temperaments, and pure ego can sometimes get in the way or undermine creativity and confidence, I find that in our songwriting circle and in my NaPoWriMo experience, it is never about receiving “feedback” or “critique” or even the euphemism of “contructive criticism.” It is only about encouragement along the way and celebration in the face of completing the task. It’s just a big ol’ love fest. And it frees people up to do what they need to do, to make their art without fear and without thought of pleasing others or reaching some critical acceptance or approval. I don’t mean to say that critique is never valuable–only that during the initial creative process of making new stuff, it’s detrimental. What we need instead is a space to work, some cheering from the sidelines, and at the end, after our 30 poems or 6 songs or draft of a novel, some appreciative nods and smiles. Maybe a thumbs up. I realize I haven’t said anything about the bad or the ugly side of a Forced Creativity Experience. Maybe that’s a question for a future blog entry–but right now, even though I could probably think of a couple items, I’m tired, happy, and last night’s episodes of The Daily Show and The Colbert Report await me somewhere in cyberspace. Someday I’d like to be as well spoken as you. Thumbs up! Michael, this is a thoughtful essay on the value of forced, or goal-directed, writing. I’m going to share it with our writing center, with your permission. Certainly! I’m honored. Thank you.